Simón has taken on the responsibility of the child till they succeed in finding David’s mother. These are not their real names; upon arrival they have been issued new names, ages, birthdates—in short, new identities, like everyone else in Novilla has been. Simón has never laid eyes on the woman, how then does he plan to find her? Just like Simón’s baffling insistence that he will recognize David’s mother when he sees her, most of the characters in the novel seem to be driven by similarly inexplicable beliefs and convictions. Simón meets a woman, Inés, while she is playing tennis, and feels that there is something ‘obscurely familiar’ about her. Very soon, he springs it upon this young, to all appearances virginal, unmarried woman that she should be the mother to this young child that she has met only once. The woman, after the initial shock, agrees surprisingly quickly, although it is clear very soon that she has little comprehension of the practical consequences of her decision. David is an unusual child, one soon realizes, extraordinarily receptive and intelligent but making sense of the world in entirely different ways than those that the people around him are accustomed to. This non-conformity creates tension in Novilla, a place where universal benevolence lives in close conjunction with an acceptance of the rule of the herd. The whittled-down prose remains restrained throughout, never veering into moments of heightened passion, never striving to make the reader’s work easier. I found myself anticipating a sudden rupture, a sudden confrontation that never came. Novilla might be a utopia, but perhaps the idea of utopia of any kind has become irrecoverably alien to us in its lack of violence and passion. The desirability and necessity of certain human instincts might very well be questionable, but the fact remains that they do exist and are always visible, and a sudden and complete elision of those experiences gives rise to a coiled sense of unease. 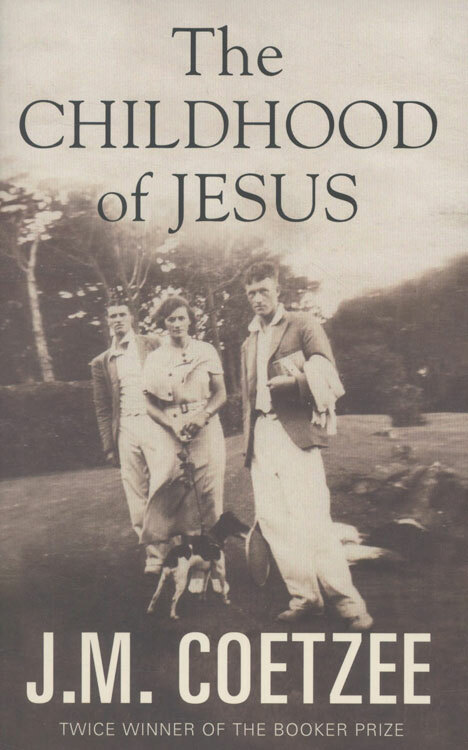 Given that the Jesus of The Childhood of Jesus never quite appears in the course of the novel, it is tempting to read it as an allegory, to interpret the events and characters as mere ciphers to a much vaster web of meanings. David goes a long way towards giving this approach credence—the boy has been “given” an age of five but the way in which he negotiates the concepts of language and mathematics can hardly be dismissed as childish flights of fancy. Meaning, for him, is constantly in flux; he wishes to take Don Quixote and read it in his way, make it his own book. His faculties are perfectly alert, he is capable of reading and writing and calculating, but he cannot bring himself to do so in class without a tremendous force of will. Is that because, as Simón believes, when David sees an apple, he sees an apple instead of one apple? It seems that for him value is determined on the level of the purely individual and relative, he is unable to reduce a thing to its numerical index. “It is as if the numbers were floating in a great black sea of nothingness, and he were each time being asked to close his eyes and launch himself across the void.” The bulk of the novel is taken up with such deliberations. Everything from intuition and rationality and anarchy and instinct is pondered upon, often in unexpected circumstances. It is a testament to Coetzee’s craft that not only is the novel not tedious through all of this but it remains an engaging and peculiarly moving read. As the characters test their own beliefs and puzzle out their own stances, one might find oneself similarly doubting the basis of many things that one has been accustomed to take for granted. Upasana Dutta is completing her Masters in English Literature at Jadavpur University, Kolkata. Her translations have appeared in Hachette India’s publication The Crazy Tales of Pagla Dashu and Co., and her essay has been published by Coldnoon, a literary journal of travel writing. She also volunteers for an organization that works for the rescue and rehabilitation of women and children who are victims of trafficking and violence.